Manufacturers And Exporters Of Jec Brand Tvs, Video Sender, Video Rewinder, Tv Antenna, Radio Cassette, Walkman, Radio, Clock Radio, Azan Clock, Microphone, Adaptor, Headphone, Calculator, Car Stereo, Car Amplifier, Car Speaker, Car Antenna, Car Fan, Car Coffee Pdt, Car Cooler Box, Car Converter, Car Security Alarm, Invertor, Emergency Light, Intercom, Door Phone, Video Door Phone, Observation System, Remote Door Bell Remote Switch, Battery Charger, Massager, Hair Dryer, Fan, Insect Killer, Insect Repeller, Telephone And Home Appliances. One Year Warrantee On All Jec Products. Strict Quality Control Is Implemented On Every Production Line. Jec Products Offer Customers The Best In Quality, Pricing And After Sales Service. We Market Our Products Successfully In U.A.E., East European Countries, Middle East, Africa, Gulf Countries, India, Pakistan, Sri Lanka, Bangladesh And Cis Countries. 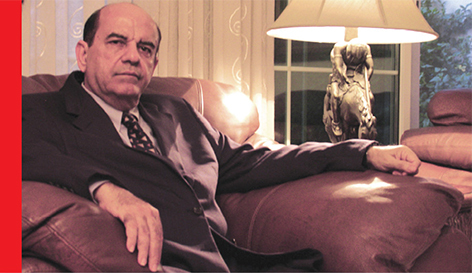 "Mr. Virendra M. Jangla - Chairman"